What galaxies can you see with the naked eye? There a few of them…more exactly are about 51 galaxies in the Local Group. For a complete list check out the Wikipedia page. 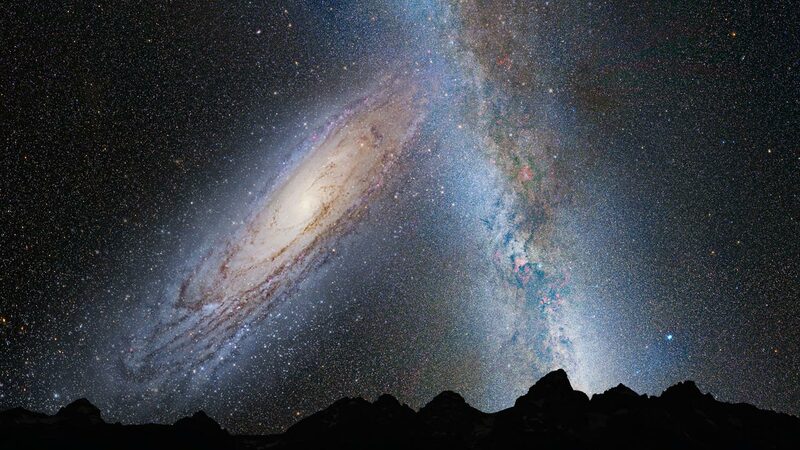 Let’s start with the most known, the Andromeda (M31) Galaxy which can be seen seen from Earth like in the image above. Apart from Andromeda you can also see the Large and Small Magellanic Clouds in the Southern Hemisphere, the Magellanic clouds are naked eye (dwarf) galaxies that orbits the Milky Way Galaxy. The Magellanic Clouds are two irregular dwarf galaxies that orbit our Milky Way Galaxy. As you may know, the Universe has billions of galaxies, but with a small telescope you can find a multitude of galaxies in the Local Group. This is a list of galaxies that are visible to the naked-eye, for at the very least, keen-eyed observers and dark skies are always better, a nice pair of binoculars helps a lot. And many more, about 51 galaxies. For a complete list visit the Wikipedia page. Copyright © 2019 youcanseethemilkyway.com. All rights reserved.